Discuss It - Online Forums at usscouts.org - You can participate in an online forum where you can discuss Scouting topics with other Scouts and Scouters. 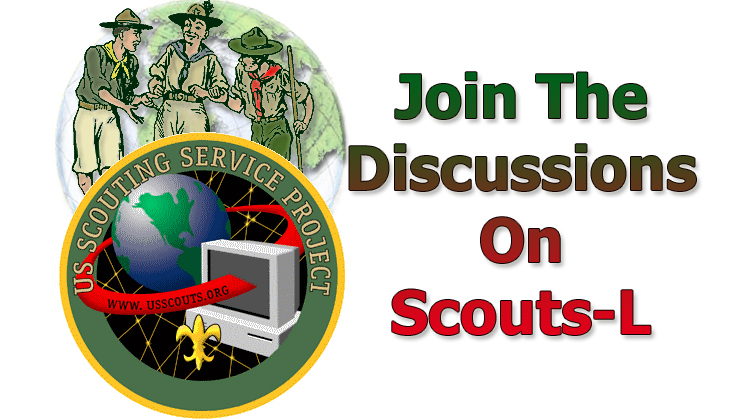 Join over 2500 Scouters in the longest running Scouting email discussion list. Find out more. 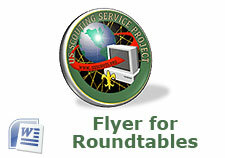 We sponsor several specialty email discussion lists on a variety of Scouting topics. Whether it is Cub Scouting, Philmont, or Venturing, you'll find great exchanges of ideas and information. Subscribe to a list. Make a donation to support Scouting in your local area. There are other ways to help too. For more information visit http://www.scoutingfriends.org. The U.S. Scouting Service Project websites have hundreds of feature areas. Below you'll find links to some of our features. For more features, please use the navigation menu to the left or our site-map. Ask Andy is a frequently published advice column with answers to questions asked by front-line Scouters. Got a question that is stumping you? Check out the column or drop old Andy a line and see what he has to say. Baloo's Bugle is a monthly collection of program helps for Cub Scout leaders. Each month a new edition is published with ideas for the following month's Cub Scouting theme. The Scouting Activities Database features a number of activities submitted by visitors that you may want to try in your unit. Use the Scout Camp Database to find a Scout Camp and read visitor comments. ScoutSite Search can help you find a Scout unit's website. We track all of the changes in advancement requirements and have a listing of requirements for every rank in the Cub Scouting, Boy Scouting, and Venturing Programs and much more. Visit our Advancement area. We track all of the changes to all merit badge requirements and offer requirements for each current merit badge. Trying to find information on Awards? Visit our Awards area to find information on just about every known award. Scouting's founder, Lord Robert Baden-Powell was a prolific writer and for more than thirty years from 1909 to 1941, he contributed notes to The Scouter. Those notes are captured in B.P. 's Outlook. U.S. Flag Info is everything you wanted to know about proper flag handling. The U.S. Scouting Service Project encourages Scouts and Scouters from around the world to learn about the Internet and how to use the Internet safely. Earn-It. Stories around the campfire are a Scouting tradition. The MacScouter has a great collection of stories. As a campfire gives way to embers or a meeting comes to a close, it is a Scouting tradition to take a moment with a thought that gives a lesson. Visit The MacScouter's collection of Scoutmaster Minutes. Need some ideas for a ceremony? Visit our ceremony pages. Good grub makes a difference on an outing, so when it's time for Chow Call, be prepared with some great tips and recipes. You can find thousands of images in the U.S. Scouting Service Project's Clipart collection including an assortment of animal clipart from the U.S. Fish and Wildlife Service. Get your critter clipart. Who hasn't fumbled with a knot. Sometimes a picture helps. Check out our knots clipart. You may also want to try out the animated knots section. There are a lot of urban legends in Scouting that just aren't true. Visit Scouting: Fact or Fiction? to see some of the most often encountered urban legends in Scouting.